Episode 95: Bobby Hopewell, a Michigan native brings 29 years of extensive healthcare, leadership and public service experience. Today he is responsible for the day to day operation of Mobile Health Resources. He has a passion for serving and service delivery, especially as it relates to ensuring a positive impact for those being served. Previous to his hospital work, Mr. Hopewell served a combined 13 years in Emergency Medical Services leadership in West Michigan with Life EMS Ambulance, ... See More LifeCare Ambulance Service and Gull Lake Area Ambulance. In the early 1990’s Mr. Hopewell successfully led his team at Life EMS Ambulance through the inaugural Commission on Accreditation of Ambulance Services accreditation surveys. This achievement makes him one of the first EMS leaders in the nation to lead an accredited EMS organization. Mr. Hopewell has been a Michigan Licensed Paramedic and is presently Mayor of the City of Kalamazoo. 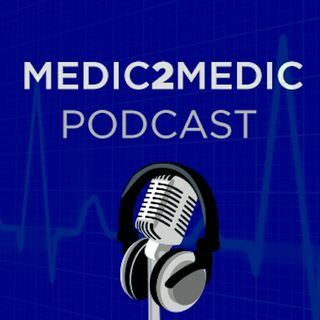 We discuss his entrance into EMS, healthcare, leadership style and how he has uses his EMS experience in the political arena. We have a good discussion regarding employee engagement and their surveys. We talk about how he and his City of Kalamazoo worked through a critical incident. Mr. Hopewell helped Stryker Equipment in their beginning with their yellow stretchers. Listen to how this came about this week on the podcast.